Udi Mokady is the Chairman and CEO of CyberArk, and a pioneer in establishing the Privileged Account Security software market. Since co-founding the company in 1999, Mokady has entrenched CyberArk as the market leader. During his tenure at CyberArk, Mokady has also served as CyberArk’s chief strategist and visionary, overseeing global expansion, management, execution and corporate development. 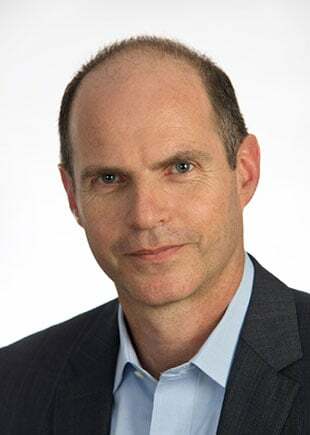 Since assuming the position of CEO in 2005, Mokady’s leadership and direction has been instrumental in guiding CyberArk to achieve record growth, while accelerating overall market adoption for privileged access security solutions to protect against an evolving advanced threat landscape. Mokady was elected Chairman of the Board in 2016. Prior to his role as CEO, Mokady served as CyberArk’s COO between 1999 and 2005. During this time, Mokady established CyberArk’s US headquarters in Newton, Massachusetts and successfully transitioned the company to a market leadership position in Privileged Access Security by helping organizations to recognize the connection between privileged access and advanced internal and external security threats. Mokady also orchestrated the company’s market expansion in the US, Europe, and Asia by elevating awareness of privilege-related security and compliance risks while successfully implementing and managing channel development, international sales operations and marketing for CyberArk’s award winning information security products. Mokady received the 2018 Asper Award for Global Entrepreneurship from Brandeis University and a 2017 SC Media Reboot Award as a cyber security influencer. He was named the 2014 Ernst & Young Entrepreneur of the Year for the Technology Security category in New England. Mokady is a member of the Monetary Authority of Singapore (MAS) Cyber Security Advisory Panel and is a member of the Board of Directors of Demisto.